Любовь Попова: Живописная архитектоника, 1918. Холст, масло. 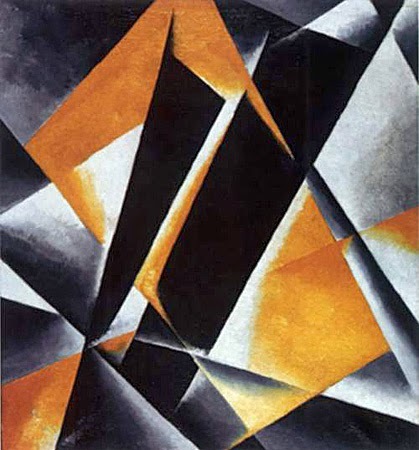 Lyubov Popova: Pictorial Architectonics. Oil on canvas. 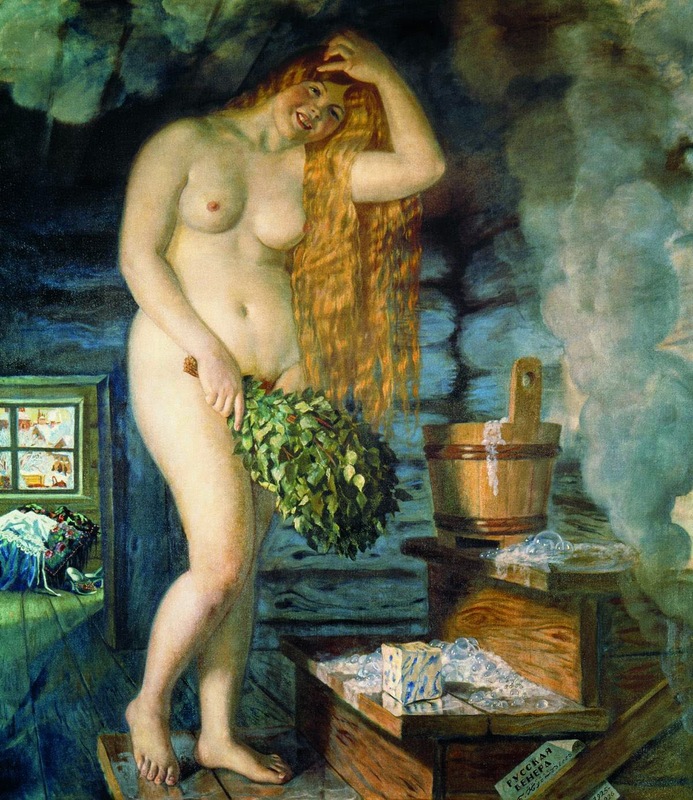 Нижегородский государственный художественный музей / Nizhny Novgorod State Art Museum, Nizhny Novgorod, Kremlin, 3. Visited on 19 March, 2014. The official intro: "The history of the Nizhny Novgorod state Art Museum covers more than a century. It was founded in 1896 as "The City Art and Historical Museum", which alongside with the pieces of art included a small collection of antiques from the formerly established "Petrovsky" museum." "Opening of a new, united and accessible museum was timed to the All-Russia Art and Industry Exhibition which was to be held in Nizhny Novgorod." "As opposed to the number of other provincial museums, based on somebody's particular private collection, the Nizhny Novgorod museum has been created by the efforts of many people. Among them - professor of historical painting N. A. Koshelev, an artist A. A. Karelin, an writer A. M. Gorky, members of the Academic Archival Committee, local merchants and entrepreneurs, representatives of general public of the city, amateurs of art, patrons of art from Nizhny Novgorod and Moscow." "Having been accumulated for the whole century, the museum is marked with a high artistic level and has its own image. Its basis is compiled of works of native masters and of the pieces are rightfully considered to be the classical ones." Wikipedia: "The art gallery in Nizhny Novgorod is a large and important art gallery and museums of human history and culture. Nizhny Novgorod has a great and extraordinary art gallery with more than 12,000 exhibits, an enormous collection of works by Russian artists such as Viktor Vasnetsov, Karl Briullov, Ivan Shishkin, Ivan Kramskoi, Ilya Yefimovich Repin, Isaak Ilyich Levitan, Vasily Surikov, Ivan Aivazovsky, there are also greater collections of works by Boris Kustodiev and Nicholas Roerich, not only Russian art is part of the exhibition it include also a vast accumulation of Western European art like works by David Teniers the Younger, Bernardo Bellotto, Lucas Cranach the Elder, Pieter de Grebber, Giuseppe Maria Crespi, Giovanni Battista Piranesi, and lot more. Finally what makes this gallery extremely important is the amazing collection Russian avant-garde with works by Kazimir Malevich, Wassily Kandinsky, Natalia Goncharova, Mikhail Larionov and so on. There is also collection of East Asian art." The representatives of Nizhny Novgorod arranged for me a wonderful tour to the historical centre of the city, all in superb condition. I realized I was in the heart of Russia when I was taken to the grave of Minin at the Archangel Michael Cathedral inside the Kremlin of Nizhny Novgorod. We had a panoramic look at the crossing of the mighty rivers Oka and Volga (the crossing is known as "strelka", "the arrow"), and it was easy to realize why Nizhny Novgorod became a booming town of industry and commerce in the 19th century, famous for its great annual trade fairs, connecting merchants from Asia and Europe. The great rivers had been connecting them for centuries. During WWII Nizhny Novgorod, a center of Russian automobile industry, become the center of tank and airplane industry. In Finland we know the secret recording made of the dinner talk of Hitler and Mannerheim on 4 June 1942. In it Hitler is amazed at the might of the Soviet tank force which surpassed his wildest expectations. The heavy industry of Nizhny Novgorod was largely to thank. The crown of the tour was a visit to the Nizhny Novgorod State Art Museum, the section that is on display inside the Kremlin. It is a lovely collection from ancient Russia till the avant-garde of the early 20th century. Many of the treasures are circulating constantly in exhibitions around the world, and thus I did not get to see the famous Shiskhin or Levitan selections of Nizhny Novgorod. I did get to see ancient icons (The Fiery Ascension of Elijah the Prophet, The Miracle of St. Demetrius of Solun and His Deeds), works by Karl Bryullov (Svetlana Guessing on Her Future), Alexey Venetsianov (A Girl with a Concertina), Ivan Aivazovsky (The Shores of Dalmatia), Ilya Repin (A Shy Peasant), Viktor Vasnetsov (The Magic Carpet), Konstantin Korovin (Autumn), Stanislav Zhukovsky (Spring), and Boris Kustodiev (the two-sided miracle work: On the Terrace, and Russian Venus; I like also the Merchant Dealing in Chests). There is an impressive room full of Nicholas Roerich's visionary red-hued paintings. I did get to see samples of the avant-garde such as Pictorial Architectonics by Lyubov Popova and works by Natalia Goncharova. I hope to return to see more of works I discovered in the beautifully illustrated catalogues of the museum - works by Vasily Kandinsky, Kazimir Malevich, and Alexander Rodzhenko, and an interesting ensemble of women avant-gardists, besides Popova and Goncharova, also Nadezhda Udaltsova, Vera Pestel, and Olga Rozanova. There is also a Western European section with rare pieces of El Greco, Tintoretto, Renoir... Next time, I hope!